Release Date: 04 oct 2018. 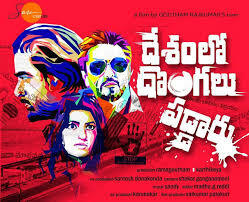 Desamlo Dongalu Paddaru is an upcoming Telugu movie scheduled to be released on 4 Oct, 2018. The movie is directed by Goutham Rajkumar and will feature Khayyum and Babloo Prithiveeraj as lead characters.